Thanks for sharing this recipe. 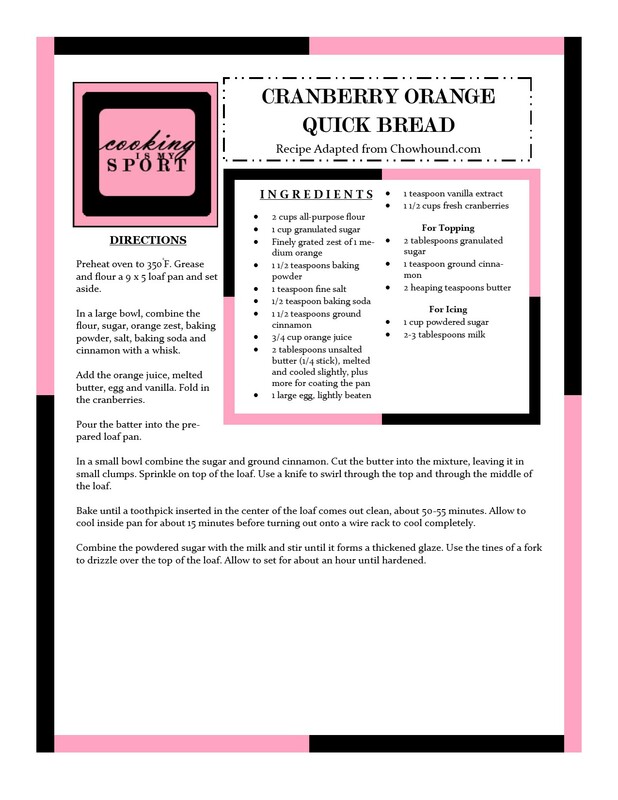 I was just thinking about making some kind of cranberry loaf and now I know just what I’ll make. Awesome ! Love to try it soon !! This really does look amazing! Cranberry and orange are a beautiful pair, I should try more quick breads. I don’t think I’ve attempted any beyond chocolate and banana bread. Great idea! You should branch out and try some new ones Shinta, chocolate and banana bread are great but this one is delicious too. Thank you! Cranberry and orange sound like a perfect combo! This cake is so perfect for my tea. Thanks for sharing, Jess. Happy Fiesta Friday! Oh, yes, one of my favorite quick breads, Jess! 🙂 Beautiful photos, too! Me too, I haven’t had them together in a while and this was a great way to come back. Thanks!